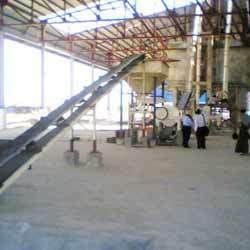 We have emerged in offering our esteemed clients with a wide array of Belt Conveyor. Our range is manufactured latest technology and high-tech machines so that these are in tandem with industry's standards and norms. The raw-material and steel required for the manufacture of these products are procured from the most reliable and trusted vendors in business. With the help of our experienced professionals, we are able to manufacture and provide our esteemed clients with Conveyor. These conveyors are designed using high quality steel at our state-of-the-art manufacturing facility. The best-in-class raw-material and steel required for the manufacture of these products are procured from the finest vendors in business.